[Thu, June 27, 2013] In a recent (February 2013) FAPIA 2013 HURRICANE SEASON TIP # 18 – Additional Living Expense is explained for all property owners. What is it and how is it calculated? The residential insurance policy coverage known “Additional Living Expense” (ALE) provides reimbursement for expenses that you incur as a result of a covered peril that are over and above your normal living expenses. Business owner policies can carry "business interruption" coverage (more on that next week). For example; Your home succumbs to fire or catastrophic hurricane damages. You have to rent a place to stay (ALE) while your home is being re-built. You still have to pay your mortgage, But you also have to pay an additional amount of $$ to rent the place to stay (ALE) . In addition, the place you’re renting doesn’t allow pets, and you have a family dog that nobody can take care of for you. You have to incur kennel charges (ALE) that you would not otherwise incur. You had to stay at a hotel for 10 days (ALE) and eat out (ALE) while you were looking for a more permanent place to stay. Keep your receipts because any amount OVER your normal food expenditure is considered ALE and is reimbursable. Finally, the catastrophic damages in your area were so bad that you had to find a home to rent that is 50 miles away from home/work and you are incurring additional gas and mileage expenses to travel to and from your home to check on it (ALE). Keep receipts. Some of your furniture was not damaged but needs to be stored at a facility (ALE) during the rebuilding of your home. ALE is an “as incurred” expense – meaning that you have to actually incur and document the expense to trigger a payment from the insurance company. Your public adjuster can help you document these money damages to make sure you receive all the compensation you are entitled to. Check your insurance policy today. Do you know how much ALE coverage you have? Think about having to spend an entire year outside of your home. Do you have enough coverage to reimburse you for those additional living expenses for one year? If you don’t, you should speak to your agent about increasing your limits. This is one of those types of coverage you don’t want to find out you didn’t have enough of – AFTER you suffer a loss. By then, it’ll be too late. Please share this important HURRICANE SEASON TIP brought to you by the Florida Association of Public Insurance Adjusters. If you have any questions about ALE, your property damage or an insurance claim, please contact me. [Wed, May 1, 2013] In a recent (February 2013) and very rare event - a meteor exploded over a city in Russia, injuring hundreds and causing damage to buildings in six nearby cities. Local officials in the city of Chelyabinsk estimated the damage at $32.2 million. Among the major problems – windows and walls destroyed by the shock wave from the blast created when the meteor, which was estimated at 49 feet across, struck. While it's unlikely your home will be hit by a meteor (I cannot recall a claim ever being filed for meteor damage), this unbelievable cosmic crash brings up the ordinary question, what if? It is only normal to wonder. But if your home or business is insured, you should know that damage from meteors typically would be covered under most standard policies. For instance, State Farm states that meteorites are indeed covered by most of their insurance policies. The fine print will usually list a wide range of different damage causing perils from "fallen objects", and among them is often a meteorite strike or explosions such as sonic blasts from meteors. Most policies are written as "open perils", which means that they cover all events not specifically excluded in the language of the contract. Those exclusions are usually referred to as acts of G-D and are events such as floods and earthquakes, or war and insurrection. Under most homeowner’s policies, meteorites are covered as "falling objects". A commercial property policy typically provides all-risk coverage that covers property damage and resulting time element loss if there is direct physical loss or damage to insured property unless specifically excluded. Policyholders should read and question the fine print in their individual policies first, but meteorite damage is so rare that it has not been specifically excluded on most policies. Even if your home insurance is ambiguous, a general rule of thumb is that most policies cover damage caused by things that fall out of the sky. Damage to property inside the building would likely be covered if the falling debris first damages and penetrates the building roof or walls, then damages the property on the inside. Hundreds of smaller meteorites strike the Earth’s surface every year, although only 10 to 20 are detected. 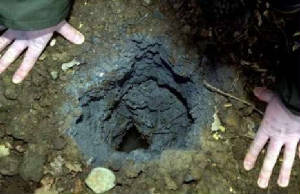 Such meteorites usually reach the surface having been burned down by the atmosphere and are too small to cause damage. What can I say, insurance companies love to cover things that are unlikely to happen. Have questions or comments, please don't hesitate contact me. Stay safe and informed! 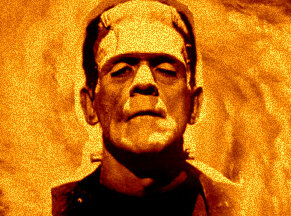 [Tue, April 16, 2013] "When evil men plot, good men must plan. When evil men burn and bomb, good men must build and bind. When evil men shout ugly words of hatred, good men must commit themselves to the glories of love" ~Martin Luther King, Jr. The death toll in the bombings at the Boston Marathon on a horrific afternoon of April 15th, 2013 has risen to three. Over 100 people have been injured, many of whom are in critical condition. The horrid blast was so powerful that it blew out shop windows and damaged a window on the third floor of the Central Library in Copley Square, which was closed to the public for Patriots’ Day. 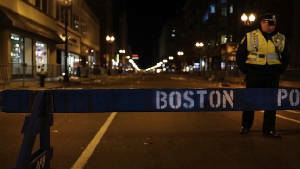 The blasts were about 50 to 100 yards apart, reported CNN, on a stretch of the marathon course lined with spectators cheering runners through the final yards of a 26-mile, 385-yard endurance feat. My thoughts and prayers are with the victims and their families, with the entire people of Boston, and with all the marathon participants following these tragic events. There are no words that can fully express the grief and the grave feeling of loss. I trust that justice will be served and that evil will be defeated. [Thu, March 28, 2013] Although headlines and news reports describing the horror of Hurricane Sandy have ceased, many property owners are still struggling from its aftermath. Sandy moved through 24 states, including the entire eastern seaboard from Florida to Maine and west across the Appalachian Mountains to Michigan and Wisconsin. Sandy’s wrath effected New York and New Jersey the most with its gale force winds and vast flooding. Many of the deaths and much of the disastrous damage in the Northeast was caused by storm surge, which pushed water from four to nine feet above ground in New York’s Staten Island, Brooklyn and portions of Manhattan as well as along the coast in New Jersey. As I watched in dismay the live reports and eyewitness news of Sandy’s fury, I couldn’t help but think of all the families affected by this storm. My thoughts and heart was with the victims and the first-response personnel. While I could not have been able to predict its utter impact, I knew what these families would have to face once Sandy receded. Soon after the storm I and fellow Zevuloni & Associates Public Adjusters licensed in NY, NJ and CT (among other states) were en route to the Northeast to help property owners with their insurance claims and offer valuable information and free of charge consultations. Seeing the dreadfulness and devastation first hand was as distressing as it was encouraging to help those affected and do all that I could to aid and assist. I am proud to say that amid the hassle of post Sandy days, our firm sponsored a food truck feeding over 350 people in one of the worst hit neighborhoods of Brooklyn, NY – Seagate. With doughnuts, smoothies, hot food and invaluable information station - Zevuloni & Associates were there to help! If you have been following this blog, you know that an immediate lack of damage mitigation, overlooking key details, or failure to provide supporting evidence following a disaster such as Hurricane Sandy could jeopardize and therefore significantly minimize a commercial or residential insurance claim settlement. My goal was to reach out and educate property owners so that they had the proper knowledge and tools to restore their businesses and rebuild their homes. I aspired to ensure that the insured were not cheated out of settlements which they rightfully deserved following a massive loss. Along with a team of my co-workers, I spend many weeks which turned into months (hence the lack of frequent blog entries since Sandy) in New York and New Jersey helping property owners to reach a maximum and fair insurance settlement in the shortest possible period of time. Hurricane Sandy ranked among the most expensive hurricanes in history — for both the United States and Cuba. In a recent report, the National Hurricane Center estimated damage to the U.S. at $50 billion, the second-largest loss since 1900. Hurricane Katrina, which flooded much of New Orleans in 2005, caused $108 billion. In Cuba, losses were estimated at $2 billion, making Sandy one of the most damaging storms ever to strike the island. Between $10 billion and $25 billion in losses will be covered by private insurance, according to different estimates from risk-modeling companies that supply data to the insurance industry. The National Flood Insurance Program, which is administered by the Federal Emergency Management Agency, may incur $7.5 billion in claims for 2012, the second-highest year after Katrina. In it’s recent reports, Tower Group Inc. (TWGP) has increased its estimated loss from super-storm Sandy, citing higher loss-adjustment expenses on the insurer's direct business and an increase in the amount of storm losses covered under its assumed reinsurance business and in some of its alternative investments. Tower now projects a fourth-quarter after-tax loss from Sandy between $79 million and $81 million. The devastating consequences of Hurricane Sandy to American families and businesses, particularly those in New York, New Jersey and Connecticut, cannot be overstated. As those affected by the storm began the process of rebuilding and returning to normalcy, all attention has turned to their insurance coverage and claim settlement. Please let me help you with any of your questions or concerns regarding Hurricane Sandy claims. Don't hesitate to contact me now! [Fri, October 26, 2012] Will Hurricane Sandy, winter storm hybrid, dubbed "Frankenstorm" by the National Oceanic and Atmospheric Administration, ravage the U.S. East Coast? Sandy has already claimed nearly two dozen lives in the Caribbean near the northern Bahamas. Meteorologists warn that this hybrid storm may strike anywhere from the Delaware- Maryland-Virginia peninsula to southern New England. The current National Hurricane Center track calls for the system to go up Delaware Bay and almost directly over Wilmington, Delaware, just southwest of Philadelphia, on Oct. 30-31.
Review and update your insurance policy. Call your carrier, insurance agent or a licensed Public Adjuster if you have any questions about coverage and property damage mitigation. Take a photo inventory of valuables in your home and office. Keep recent purchase or repair receipts. Prepare a “Go Bag” and an “Disaster Prep Kit” for all family members and pets. Assume that local pharmacies, grocery stores and gas stations will be closed. Expect disruptions in electricity, gas, and water or telephone service. Check on friends, relatives and neighbors, especially those with disabilities or special needs and assist them with their preparation, if possible. Coordinate and inform each other of an evacuation disaster plan. Avoid separating your immediate family. Bring inside loose, lightweight objects, such as lawn furniture, garbage cans, garden tools and toys. Anchor objects that will be unsafe to bring inside, like gas grills or propane tanks. If you own a vehicle, fill your gas tank. If you own a boat, moor or move it to a safe place well before the storm causes maritime conditions to deteriorate. If you own a mobile home/trailer, tie it down securely. Shutter windows securely and brace outside doors. Place valuables into waterproof containers or plastic bags. Take out extra cash and ensure that all your electrical devises are fully charged. Water (one gallon per person per day, for at least three days). Non-perishable food that will last at least three days, per person. A flashlight — and extra batteries. Dust masks, to help filter contaminated air. Plastic sheeting and duct tape to seal windows, doors and air vents and protect you from debris and contaminants in the air. Cell phone with chargers or solar chargers. Prescription medicines to last at least a week and eyeglasses (if needed). Also, if you’re taking care of any children, make sure to include entertainment items to keep them occupied, like games, cards, crayons and coloring books. Review your supplies periodically to be sure you have what you need and to replace any products about to expire. You can also buy ready-made kits for $100 or so. Keep the kit in a designated place in your home, where it will be easy to grab if you have to scoot. And be sure all your family members know where the kit is, so any of them can take it to a safer location. I hope that everyone will stay safe! Wishing everyone a productive, restful and peaceful weekend! Please keep my office number handy in case a disaster strikes and causes property damage to your home or business. The number is 877.ZEVULONI (938.8566). [Tue, October 16, 2012] I recently came across this web page: http://www.consumeraffairs.com/insurance/home.html where property owners voice their scrupulous and rather infuriating experiences with insurance companies. Am I surprised? Unfortunately not. The consumer affairs website offers a myriad of information on companies, products, scams, recalls and reviews written by either satisfied or disgruntled consumers. A section of the website is devoted to reviews of property insurance providers and posts from the homeowners. It is a candid look into the insurance industry from the eyes of the insured. Reading through the blunt reviews and criticisms of property owners across America, familiar scenarios unfold. From underpaid claims to unresponsive insurance adjusters, unjust settlements or outright denials from the insurance company happen more often than not. The aggravation of not getting a fair settlement to fix or rebuild a covered loss, especially after the many years of faithfully paying rising insurance premiums – is a shared sentiment across the board. It is sad to read the many personal accounts of homeowners that are currently in financial distress because they did not have the tools to counter their insurance company. Each day, numerous claims are denied or underpaid due to a technicality or an incorrect assessment of a loss. I am vehemently disappointed that consumers have rated top insurance carriers such as State Farm and Allstate with merely one star out of five. Are insurance companies reading these reviews? Do they care? Well, if they cared enough – I’d be out of work! The topic of home owners insurance is one that often stirs a lot of frustration and anger among policy owners. Since 2005 I have been helping home owners, condo associations, businesses and corporate chains with their insurance claims. Licensed in the states of FL, TX, GA, SC, NC, MD, CT, RI, ME I have vast experience with all types of claims such as hurricane & tornado damage, fire & flood, vandalism and theft. The team at Zevuloni & Associates Public Adjusters and I can help you receive a fair and maximum settlement allowed by your policy. Don’t write another disappointing review, let me help. The purpose of this informational memorandum is to advise property insurers that Tropical Storm/Hurricane Isaac was declared a hurricane by the National Hurricane Center of the National Weather Service on Tuesday, August 28, 2012, at 11:20 A.M. CDT. 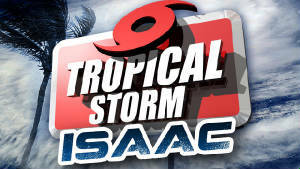 Before Tuesday, August 28, 2012, at 11:20 A.M. CDT, Tropical Storm/Hurricane Isaac was classified as a Tropical Storm. Section 627.4025(2)(a), Florida Statutes, specifically defines hurricane coverage as coverage for loss or damage caused by the peril of windstorm during a hurricane and furthermore (2)(b) provides Windstorm for purposes of paragraph (a) means wind, wind gusts, hail, rain, tornadoes, or cyclones caused by or resulting from a hurricane which results in direct physical loss or damage to property. Insurers are hereby notified that the hurricane deductible shall not apply to property losses associated with a Tropical Storm/Hurricane Isaac damage claim that occurred prior to Tuesday, August 28, 2012, at 11:20 A.M. CDT. For these property losses, all insurers must apply the deductible that is unrelated to hurricane, generally referred to as the all other perils deductible or other than hurricane deductible. An insurer that fails to apply the appropriate deductible is subject to administrative action. So why and how does this affect you? Well, did you know that a typical home-owner's insurance policy in Florida carries a higher deductible for hurricane related claims as opposed to other property damage losses. Although unfair and devastating to many property owners, because of this higher deductible, insurance companies pay out less on damages caused by a hurricane - forcing property owners to accept the financial burden to fully cover all repairs and restoration costs. The good news for those Floridians hit by Tropical Storm Isaac is that most damage in Florida (with the exception of the Western Panhandle) has occurred prior to declaring Isaac a hurricane, therefore the high hurricane deductibles will not apply to their storm related claims! This allows property owners to pay lower deductibles and get the much needed help and relief. With the help of this blog, please stay informed of all news pertaining to property damage and insurance claims if you own or rent a home or a business office. Keep safe and do contact me if you have any questions, suggestions or comments. You may also contact my co-workers at Zevuloni & Associates Public Adjusters who have been helping property owners with storm related claims since 2005 and are experts in the field. [Wed, September 05, 2012] As insurance claims from Tropical Storm Isaac and Hurricane Isaac have started to come in, EQECAT estimates Isaac’s insured damages in the U.S. as between $500 million and $1.5 billion. 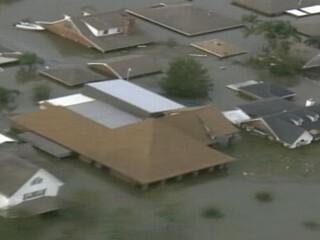 Other sources within the insurance industry assess the losses from Hurricane Isaac to over $2 billion. Hurricane Isaac caused severe damage along the northern Gulf Coast of the United States in late August 2012. Isaac reached hurricane strength the morning of August 28. At least 9 fatalities have been confirmed in the United States—5 in Louisiana and two each in Mississippi and Florida. Widespread wind, water and flood damage along the Mississippi, Louisiana and Alabama coast, as well as severe flooding in South Florida has impacted many residential and commercial property owners. According to InsuranceJournal, "State Farm Insurance Cos., the largest insurer in Louisiana and Mississippi, said it had received 4,266 homeowners’ insurance claims in the two states — 3,805 in Louisiana and 461 in Mississippi. The company had received 1,144 automobile claims — 998 in Louisiana and 146 in Mississippi. 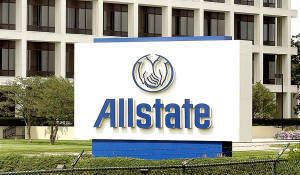 Allstate Corp., which is the second largest insurer in Louisiana and third largest in Mississippi, declined to release the number of claims it has received so far." Most of the damage from Isaac was flood and water damage - caused by the heavy rains and storm surge which reached up to 9 feet in some areas of New Orleans. What is the difference between flood and water damage? In general, wind-driven rain and water that comes into your home through the roof, windows, doors or holes in the walls is water damage and is covered by homeowners insurance. However, water damage from the bottom up -- such as the overflow of a body of water or damages caused by a storm surge (flood) – is most likely not covered – as you may need separate flood insurance coverage for that. If you aren’t sure whether the damage is covered under your policy, contact your insurer or call a licensed Public Adjuster to assess the damage and review your policy. The expert team of Public Adjusters at Zevuloni & Associates are licensed in the states of FL, TX, GA, SC, NC, MD, CT, RI and ME and have vast storm experience with assisting policyholders through Katrina, Rita and Wilma. Stay safe, educated and prepared when it comes to storms and insurance claims. [Fri, August 24, 2012] Hurricane Isaac, currently a tropical storm brewing southeast of Puerto Rico, is fore-casted to approach Florida on Monday as a Category 1 hurricane. Some computer models show it may swing further west into the Gulf of Mexico. At the time of this posting, the Sun Sentinel reported that Tropical Storm Isaac’s threat to Florida is reduced but not eliminated. Regardless of the path Isaac may take, my colleagues at Zevuloni & Associates, Public Adjusters urge everyone within the cone of the storm to prepare. If you have not developed your hurricane plan and have not gotten your supplies yet, there is still time. What you don’t want to do is wait until the last minute. 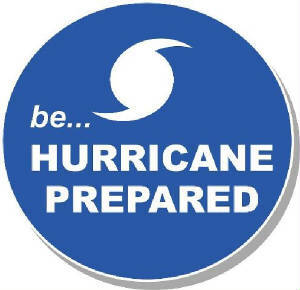 Please PURCHASE hurricane supplies and PREPARE an evacuation plan just in case. REVIEW your insurance policy, DOCUMENT the current condition of your home and business with photos, and take PROTECTIVE measures to SAFEGUARD your family, pets and property! Prepare for the worst and hope for the best! As the 20 year anniversary of Hurricane Andrew that devastated Florida on August 24, 1992 looms within our memories, Floridians should be extra diligent and particularly alert this time around. Please keep my phone number nearby in case your home or business sustains any type of damage or you have a question regarding insurance coverage or claim handling process: local: 954-742-8248; toll-free: 877.ZEVULONI (938.8566). Below are useful links to several excellent and relevant guides full of tips, suggestions and hurricane preparedness information. [Thu, August 16, 2012] Florida regulators are skeptically looking into the latest increases sought by two property insurers that could raise premiums for some Floridians by over 40 percent, even as they reduce their number of policies. Based on the recent news reports, Castle Key Indemnity Co. (formerly Allstate Floridian Indemnity Company) and Castle Key Insurance Co. (formerly Allstate Floridian Insurance Company) requested statewide average rate increases of 21.9 percent and 32.4 percent, respectively, for all policy types. Company officials said they had a combined loss in surplus from $206.7 million in 2007 to $117.5 million in 2011. David Border, vice president and state manager of the insurers, said the increases are needed due to significant underwriting losses that have drained the insurers’ surplus. In Florida, the combined Allstate units held the No. 4 market share with more than 250,000 customers at the end of the first quarter. The company says that number is fewer than 240,000 now. 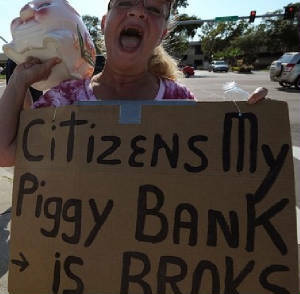 State-run insurer Citizens ranks No. 1 with 1.4 million policies, followed by Universal Property & Casualty with 567,000 and State Farm with 466,797. Regulators pressed Allstate for more information to justify expenses related to such things as transactions with the parent company, marketing and advertising and potential storm losses when it is not writing new property insurance business in Florida and has not been renewing tens of thousands of customers. The company said it would respond in less than three weeks. Regulators will begin to arrive at a decision on the rate request after that information is collected. In Palm Beach County, the average premium would raise by 33.9 percent to $1,421 for Castle Key Insurance and by 23.5 percent to $1,049 for sister firm Castle Key Indemnity Co.
“We’ve had a net decline over five years and that is highlighted by low storm action with no major events at that time,” said Border. What are your views on the constant rate increases? I would greatly appreciate your feedback, questions and opinion, so please don't hesitate to contact me. A Florida Disaster In The Making? 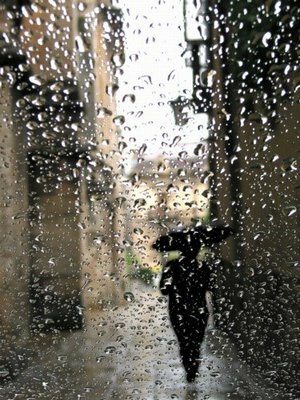 [Fri, July 27, 2012] Did you know that water damage is the most common loss reported by homeowners? 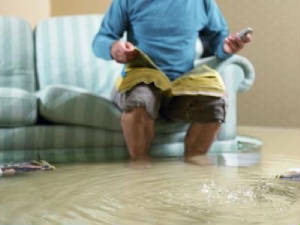 If you ever had significant water damage from a leak, you know that the consequences may be anything but simple. Wood flooring buckles up, furniture or cabinets are soaked, carpet and baseboards are ruined. Sometimes you may need to remove drywall and if the leak impacted electrical lines – expect an expensive repair bill, not to mention the cost of water removal and restoration services that may run you thousands of dollars. Well, if you think that your insurance company will cover the costs of the loss, think again, especially if your home is insured by Citizens Property Insurance Corp.
Florida’s largest state-backed property insurer is looking to reduce its coverage - such as capping losses due to water damage to $15,000! This is a ridiculously low and incredibly inadequate amount that might cover only a small fraction of the repair bill, replacement materials, mitigation and or rebuilding costs, making the homeowner pay for everything else. About 35% of Citizens' water damage claims exceed $15,000 ...although I suspect that many such claims have been grossly underpaid. Homeowners will end up paying out of pocket to repair damage from everyday perils such as an air condition leak, pipe burst, faulty plumbing and a leaky roof if this policy is catastrophically approved by the full board next week. If Citizens proceed with this $15,000 cap on water damage claims, along with other proposed reductions and rate hikes, I foresee a disaster in the making for thousands of Floridians already struggling financially. At a time when private insurers have not jumped back into the market to write new homeowners policies, unfortunately many Floridians have no choice but to accept whatever Citizens offers and hope for the best. I strongly encourage all Floridians to contact Citizens and the local legislators to voice their concerns regarding the proposed policy limits and rate hikes. Take a close look at your current homeowner policies to check on coverage and claims procedures. Ask contractors and plumbing professionals how much typical repairs may cost. You are welcome to contact me if you have any questions regarding your policy coverage or a property damage claim. It is better to have all the information at hand before disaster strikes and be prepared. 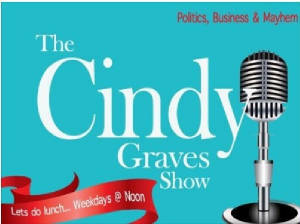 [Mon, July 16, 2012] Last week, I have been humbled and honored to be a guest on the Cindy Graves Show, AM 600 WBOB in Jacksonville, Florida (www.600wbob.com). The fifteen minute live segment presented a perfect opportunity to discuss the claim process for residential and commercial damage caused to properties in Jacksonville, FL by Tropical Storm Debby. The host – Cindy Graves, a charismatic, knowledgeable and outspoken president of the Florida Federation of Republican Women and the State Committeewoman of Duval County, FL wasted no time and went straight to the point. Happy to be a part of the show and offer help, I covered several important points and answered Cindy’s questions about the role of a Public Adjuster and that of a Company Adjusters. However, fifteen minutes was nowhere nearly enough to cover all the points which I knew would be useful to property owners. A 48-hour Moratorium On Public Adjusters Was Ruled UNCONSTITUTIONAL! 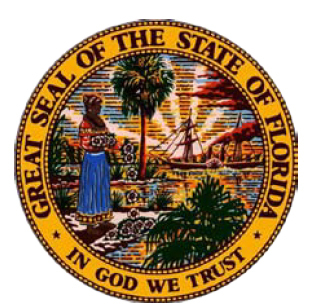 “We affirm the 1st District‘s decision that the statute unconstitutionally restricts the commercial speech of public adjusters because it is not narrowly tailored to serve the state‘s interests in ensuring ethical conduct by public adjusters and protecting homeowners,” the Florida Supreme Court justices ruled Thursday in Jeffrey Atwater v. Frederick Kortum. The 48-hour restriction was unjust to both the property owner and the Public Adjuster. Policy holders are typically not familiar with the details of their insurance policies, and can make irreversible mistakes during the first 48 hours following a loss. Licensed Public Adjusters can help them get the benefits they are owed and assist them in every aspect of their insurance claim process. “Thanks to this ruling, we can help more policyholders in those critical first hours when they need it most,” said Florida Association of Public Insurance Adjusters' president Harvey Wolfman. “FAPIA and its nearly 400 member public adjusters are committed to helping policyholders receive full and fair compensation following damage to their property,” continued Mr. Wolfman. Julie Patel of the Sun Sentinel reports that "The 2008 law was enacted to prevent public adjusters, hired by policyholders to represent them during the claims process, from contacting people when they’re in shock and haven’t had a chance to resolve a claim with their insurer". However, I think that this is exactly when a property owner may need the assistance of an expert working in the best interest of the insured - not the insurance company. The first 48 hours following any type of damage - be it hurricane damage, fire, theft, vandalism, flood, collapse, tornado damage, roof leak, sinkhole or any other insured peril is a critical time when a property owner can greatly benefit from the knowledge, experience and guidance of a licensed Public Adjuster. I'd like to hear your views on the ruling and would appreciate any personal accounts or stories related to the subject at hand. Please don't hesitate to contact me via email or at the office at 954-742-8248. How Can I help You? Have A Question, Just Ask! [Mon, June 11, 2012] Over the years I’ve gotten a firsthand look at all the possible things that can go wrong at homes, business offices, hotels, warehouses, boat marinas - from catastrophic events like major storms to more common problems, like kitchen fires, roof leaks, burglaries and plumbing leaks. Since 2005 I’ve been working with property owners and their insurance companies to ensure that claims get fairly assessed and are justly paid so that policyholders can rebuild and move on. I work on behalf of policyholders to help people get all that they're entitled to from insurance claims. Licensed by the State Dept. of Insurance, Public Adjusters evaluate damage and rebuilding costs, track the flow of insurance payments and amounts due, and work with home insurance companies to expedite their clients' insurance claims. It's better to hire a public adjuster early in the process in order to streamline your claim, since it may be more difficult for an adjuster to come in halfway or at the end of a claim and try to work backwards to assess the situation. Understand that your insurance company may be far more concerned with minimizing potential losses and protecting their bottom line while you simply want to restore your business or home. Will the settlement cover your losses? Will you have to settle for substandard repairs or replacements? Will you have to do without the quality items you lost due to property damage? Does the settlement take into account all of your losses? Are you getting compensated for everything that you are entitled to? The average homeowner rarely files an insurance claim, making it difficult to judge a good settlement from a poor one. 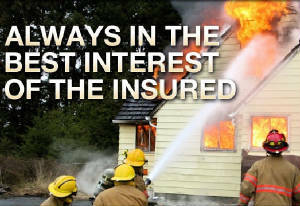 Rather than taking your insurance company's representative's word for it, let a Public Adjuster review your situation. I can help you navigate the complexities of filing an insurance claim – and help you receive a fair and equitable insurance settlement. 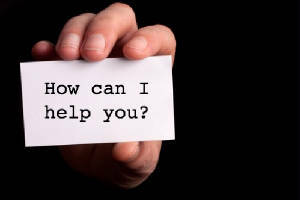 I can also review your policy, making it possible for you to get an objective opinion about the worthiness of the insurance settlement offer with no obligation whatsoever. I understand the way insurance works as well as how to spot underestimations and oversights – all of which can dramatically affect your final offer. Let me put my expertise to work for you. The office of Zevuloni & Associates succeeds only when we can help our clients. Let me know how I can be of help. Have a question, just ask me! Your Homeowners Insurance Policy: Are You Prepared For The 2012 Hurricane Season? [Mon, June 04, 2012] U.S. Department of Homeland Security Secretary Janet Napolitano wants to make sure Americans are prepared for the start of the 2012 Atlantic hurricane season. The season officially began June 1st, and Napolitano will join Federal Emergency Management Agency head Craig Fugate, as well as Florida Gov. Rick Scott to urge those likely to be affected by storms to prepare beforehand. Already two named tropical storms have swept through the Southeast and caused windstorm and flood damage. As local county emergency personnel prepare for the season ahead, you should be prepared at home as well. Two keys to weather safety are to prepare for the risks and to act on those preparations when alerted by emergency officials. With the threat of a hurricane or major storm never far from people’s minds, insurance is a big deal in the Sunshine State. Thoroughly review your property insurance policy. If anything is unclear or confusing, speak with your insurance agent or a licensed Public Adjuster and get answers in a non-insurance legalese. Take a complete inventory of your possessions. Keep one copy in your home and the other in another location. Take photos and keep receipts. Photo documentation will help with the claims process and can assist your Public Adjuster in the investigation. Make sure that you are insured 100 percent in replacement value. Keep in mind that with the unstable real estate sector, market value has dropped, but replacement value still remains fairly steady. Get a good idea of what your average replacement value is per square foot. Know what your deductible or out-of-pocket expenses are if your property is damaged. Many insurance companies assess a deductible that is a percentage of the policy limit, such as 2 percent, 3 percent or 5 percent. Individuals who rent a house or apartment may want to look into purchasing a renters insurance policy to protect their possessions. Make necessary repairs to your roof, windows and sliding glass doors. Trim those overgrown, dead or weak tree branches and keep your hurricane shutters handy. Be prepared to file an insurance claim if your property sustains damage. Keep the number of a licensed Public Adjuster handy to immediately assess the damage and guide you through the process of filling an insurance claim. Please don't hesitate to contact me with any questions, suggestions or help. Stay safe! [Fri, May 25, 2012] Real estate sales have been sluggishly growing while the number of foreclosure filings in April fell to the lowest monthly total since July 2007, according to RealtyTrac’s most recent report, released Thursday. Despite these optimistic statistics, there are many homes that stand empty—awaiting to be sold or rented. This week I’d like the blog to focus on whether or not a generally insured peril will be covered by a standard homeowner’s policy if the home is vacant. 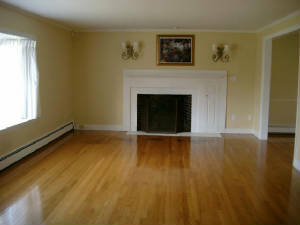 A vacant home is a property that’s entirely empty (for a specific amount of time), without any personal property inside. For instance, an investment property was purchased but stood vacant for several years as it was never rented or occupied. However, the property was still covered by an insurance policy. What happens if an exterior AC unit is stolen? Does the insurance company reimburse the owner for this loss? Based on a typical policy, the loss would most likely not be covered because the home was never occupied. Whenever a home is empty, the property is at a higher risk for damage. In this scenario, the carrier possibly covered this policy based on an assumption that the property will be rented out shortly and had no documentation from the owner which stated otherwise. Most insurance companies require either an endorsement or a separate, home insurance policy for a vacant dwelling while the owners try to rent or sell it. Not all companies offer vacant-home policies, but some do. Such policies may have certain restrictions or higher premiums. If a home is vacant, damage can occur and become worse over time. Because the damage can be more expensive to fix, the premium on vacant home insurance coverage is typically higher. Insurance companies hate vacant houses, whether you’re taking an extended vacation or you’re waiting to sell your house, leaving it empty. If you’re not home and a water pipe busts, a fire starts, or someone breaks in, chances are the subsequent mess is going to be pretty big — along with the insurance claim for the damage. Read the fine print in your home owners policy to see its terms about vacancies. Then, email your agent or insurance company to double-check the rules. Don’t call, because an email is a written record of your communication. You might need that record later if the company refuses to pay a claim because your house was vacant. Let me know if I can be of help! Flood Damage Vs. Water Damage. Know The Difference? As I type this, heavy rain drops cover the windows completely. With dismay, many property owners may discover that their homes sustained unwelcome property damage such as a roof or window leak, flooded basement or a collapsed wall. Will their insurance policy cover the damage? Will their settlement be enough to repair or rebuild? Many homeowners dread these questions, so here are a few basic answers. Please note that each situation is different, so don't hesitate and contact me with your questions. That depends on the type of insurance they chose, how the water entered their properties and as you know by now, how their claim has been filed. There basically are two insurance policies that deal with a homeowner's water damage - a flood insurance policy and a homeowners insurance policy. Losses not covered by one of these policies may be covered by the other. Knowing the losses to which your home could be exposed will help you decide whether to buy one or both of this insurance coverage.All policies have their own provisions,omissions and clauses that you should be familiar with. While insurance policies may differ in the coverage provided, there often are basic features common to all policies. Ask your insurance agent or a licensed Public Adjuster about the specifics of your insurance policy and the needs based on your location. In the meantime, here’s general information based on a typical insurance policy. Flood damage to your home can be insured only with a flood insurance policy - no other insurance will cover flood damage. Flood insurance is available through your insurance agent, insurance company or local Federal Emergency Management Office (FEMA). To determine if your home is located in a flood plain, contact your county planning office. If you are living in a flood plain, flood insurance may be an excellent purchase. Even if flood or water damage is not covered by your homeowner’s insurance policy, losses from theft, fire or explosion resulting from water damage is covered. For example, if a nearby creek overflows and floods your home, and looters steal some of your furnishings after you evacuate, the theft would be covered by your homeowners insurance because it is a direct result of the water damage. However, the flood damage would be covered only if you have flood insurance. It's important to note that flood insurance and homeowners insurance do not duplicate coverage for water damage. Instead, they complement each other. Do your research, ask me questions about any water damage sustained to your property and stay safe! 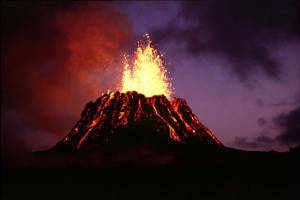 [Thu, May 03, 2012] Volcanoes and Spacecraft? Do you know what your homeowners insurance policy covers? Most people have a general idea, but do not invest the time to thoroughly read all the details, exclusions and the fine print of their policies. However, if you do decide to flip through the pages you might be surprised to learn about some of the things your policy actually does cover. Whether or not you need this coverage or lack coverage that is vital based on your location and climate - is a different discussion which I will gladly participate in if you contact me. The focus of this blog entry is to let you know of a few rather rare things that most policies cover that you would probably never think to ask about. (Please note that all policies differ and you should consult your insurance agent and provider for specifics on your coverage). Volcanic Eruptions – although the majority of homeowners don’t live close enough to an active volcano to worry about, if you did - it’s good to know you’d be covered! Most homeowner’s policies provide coverage for property loss caused by volcanic eruption when it is the result of a volcanic blast, airborne shock waves, ash, dust, or lava flow. It is important to note that damage to land, trees, shrubs, lawns, property in the open, open sheds, or the contents of those open sheds are typically not covered. Neither is the cost to remove ash from personal property is generally not covered unless the ash first causes direct physical loss to personal property. Aircraft & Spacecraft Damage – damage to property inside the building would be covered if the falling debris first damages and penetrates the building roof or walls, then damages the property on the inside. Some insurance policies include the terms "falling objects" and "aircraft," which include self-propelled missiles (meteors) and spacecraft. State Farm states on their website that while claims are handled on a case-by-case basis, damage from satellite debris, a.k.a. space junk, likely would be covered under most insurance policies. Hopefully your home will not be damaged by a volcano or an aircraft, but at least you know you are covered …well, sort of. When shopping for insurance, it is important to understand exactly what you are getting and what you are lacking in a homeowner policy. As I have previously written, when it comes to insurance – the devil is in the details. Do your homework and research. Get a free evaluation and analysis of your policy from a licensed Public Adjuster. Although Public Adjuster don’t sell insurance, nor do they get any commissions from the sales, they know which coverage is vital and which can be tossed. Their knowledge comes from the numerous experience of handling property damage claims in your area of residence and dealing with insurance companies. Stay safe and do ask questions, I am here to help! [Wed, April 25, 2012] Dave Berman of Florida Today wrote a stimulating article regarding a recent meeting of 330 concerned residents in Barefoot Bay, FL on April 24th, 2012 to complain about insurance coverage on their manufactured homes. The outraged homeowners packed a community center meeting room to express their views on the latest rate hikes and the unjust changes to their policies. The meeting was a bit heated at times, and at least some in the audience left the meeting unsatisfied. One of the immediate concerns at Barefoot Bay is the decision by Citizens to discontinue offering insurance coverage for carports and pool and porch screens, effective when policies are renewed this year. At the same time, Barefoot Bay homeowners are seeing their Citizens premiums rise by an average of 10 percent this year. According to the article, Barefoot Bay residents typically pay Citizens $1,500 to $2,600 a year to insure their manufactured homes. Citizens Property Insurance Corp is the state's largest property insurer with over 1.4 million customers. It was created to provide hurricane coverage to property owners who could not get insurance from private carriers and lately it has been increasing rates while reducing coverage. Anyone who owns a house in Florida knows that property insurance has continued to rise, even without any major catastrophes in the past seven years. Rates in Florida will now be more dependent on the insurance market, and if they happen to balloon, there isn't much regulators can do about it. The state's catastrophe fund sells insurance to insurance companies. Right now it only has enough cash on hand to cover one big storm over a 20-year period. Citizens was supposed to be the insurer of last resort in Florida, but ended up with a larger pool than expected. Citizens reported that its policy count is continuing to decline. As of March 31, Citizens had 1.44 million policies, down 2.4% from the end of January – while total risk fell 10% over that period to $503 billion. The reduction is due to private insurers removing policies, primarily from Citizens’ residential multi-peril and wind-only books of business. Citizens’ board also moved in February to reduce coverage for secondary structures, personal contents, new construction and personal liability, as well as to increase sinkhole deductibles by 10%. As of May 1, Citizens is refusing to insure properties valued at more than 1 million. Also no longer covered this year are most porches, decks and outbuildings. I applaud the residents of Barefoot Bay for voicing their concerns and standing up to Citizens. I also hope that in case of any damage sustained to their homes they will elect to call an experienced and licensed Public Adjuster to ensure that they will get a maximum settlement allowed by Citizens to fix or rebuild their homes. I would love to get your thoughts and comments on this issue, and have you participate in the blog. Do you have a policy with Citizens? What has your experience been like? Please leave a comment below or contact me at joe@florida-pa.com. [Fri, April 20, 2012] No doubt about it, getting a theft claim settled quickly & successfully with an insurance company is not a simple task. However, after adjusting many such claims, a pattern begins to emerge. To begin with, nearly all theft claims are looked at with suspicion – especially by the insurance companies. Therefore the burden of proof, proper documentation, taking preventative measures, compliance with all requirements and clauses of the insurance policy and fulfilling the duties right after the loss as stated in the policy are integral to a fair settlement. Earlier this week I was called to the scene of a jewelry store robbery. 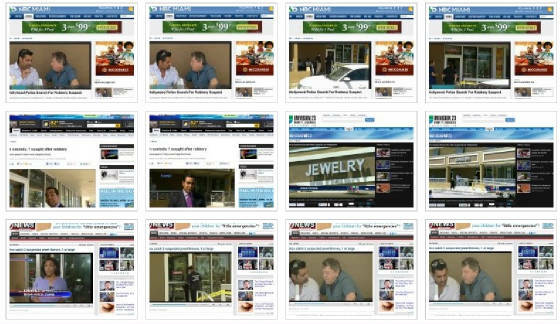 A robbery covered by the local media in the heart of a busy strip mall in Hollywood, Florida. The Hollywood Police Department apprehended 3 suspects while the 4th one is still on the run (as of this posting). All three had handguns and used stolen vehicles as the getaway cars. 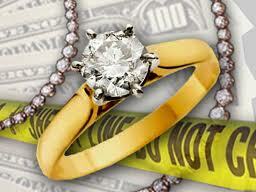 Based on recent statistics, crime against jewelry stores and firms result in losses over $125 million annually. On the average, 10-15 homicides occur annually during jewelry store robberies. Jewelry stores are high-profile targets for robbers. Retail jewelers are at the greatest risk. I am confident that my involvement and expertise will give the worried and frazzled owner of the jewelry store a piece of mind, justice and a fair insurance settlement. I welcome your comments or questions on this subject at joe@florida-pa.com. Stay safe! Below are several photos of myself that were captured by the media at the scene of the crime. © 2013 Property Insurance Claims Blog. All rights reserved.